Earthwatch partner UPS is the world’s largest package delivery company, and works hard to engage its employees to overcome the key environmental challenge of carbon reduction. Founded in 1907, UPS is the world’s largest package delivery company and a leading global provider of specialized transportation and logistics services. Every day, UPS manages the flow of goods, funds, and information in more than 200 countries and territories worldwide. UPS works hard to engage employees to help overcome key environmental challenges of carbon reduction. As a logistics and delivery company, UPS faces the key environmental challenge of carbon reduction. UPS has one of the most robust programs for measuring and reporting the carbon impact of its operations, as well as its customers, receiving a score of 99 out of 100 from the Carbon Disclosure Project. UPS also maintains an impressive set of Carbon Reduction Strategies relating to efficiency, innovation, and technological advancements. 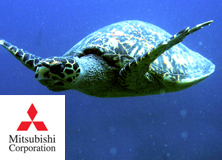 After participating in a Corporate Open Day event in 2010, UPS recognized the potential that a relationship with Earthwatch could provide in promoting environmental sustainability among key sections of its employee base. 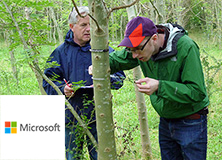 The partnership between UPS and Earthwatch began in 2011 with a $50,000 grant to initiate the UPS Climate Ambassadors Program. 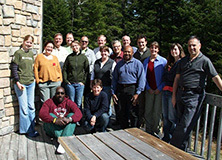 Through this partnership, UPS leaders and their customers participated in three-day facilitated learning programs in the boreal forest of Quebec, Canada, in 2011 and 2012. These programs provided a broad-based understanding of climate change, provided a platform for sharing best practice in sustainable business approaches, and engaged and inspired confident ambassadors who are passionate about their role in supporting climate awareness. 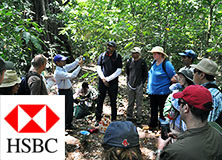 In 2013, the partnership resumes in a one-day program engaging UPS employees, stakeholder groups, and the supply chain in Earthwatch-branded experiential learning programs in two countries: in the U.S. at a forest near UPS headquarters in Atlanta and in the U.K. at Wytham Woods near Oxford. 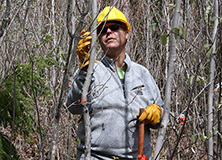 In addition to facilitated learning and professional development, this relationship will seek to continue to build awareness and understanding of important environmental issues and their connections with daily business operations, build an appreciation and understanding of the value of urban forests, and strengthen UPS’s environmental stewardship and corporate sustainability initiatives. In 2012, UPS made grants totaling US$1.6 million to plant more than 1 million trees around the world, protect endangered species, and inspire UPS employees to volunteer with forestry focused environmental organizations. Planting trees helps mitigate carbon emissions from our operations, and forest conservation is a source of carbon-offset credits for the carbon neutral service UPS offers its customers. Engaging and inspiring confident ambassadors who are passionate about their role in supporting climate awareness. 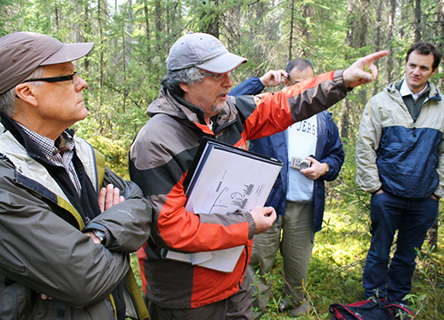 Building appreciation and understanding of the value of urban forests.